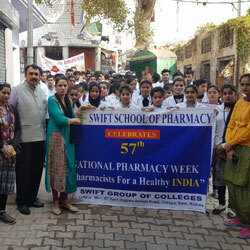 Lohri fete was organized at Swift Group of Colleges on 11 jan 2019. 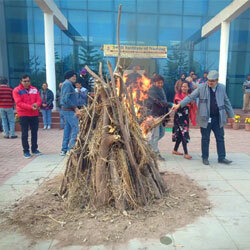 Students and Staff at Swift Group of Colleges celebrated Lohri with a lot of exuberance and funfare. 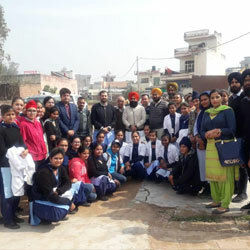 The students and teachers sang songs immersed in rich cultural folklore of Punjab and presented giddha and bhangra. Students of all departments participated in it. On the gracious occasion of Guru Nanak Dev Ji Jayanti, Swift Group of College organised Shri Sukhmani Sahib Ji path to seek his blessings for the coming year. All the family of Switarians attended the path. This was followed by Kirtan which took everyone to the spiritual World. 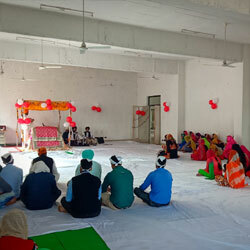 Lastly, everybody enjoyed the Kadah Prashad and then Students and staff members enthusiastically participated in Langar.